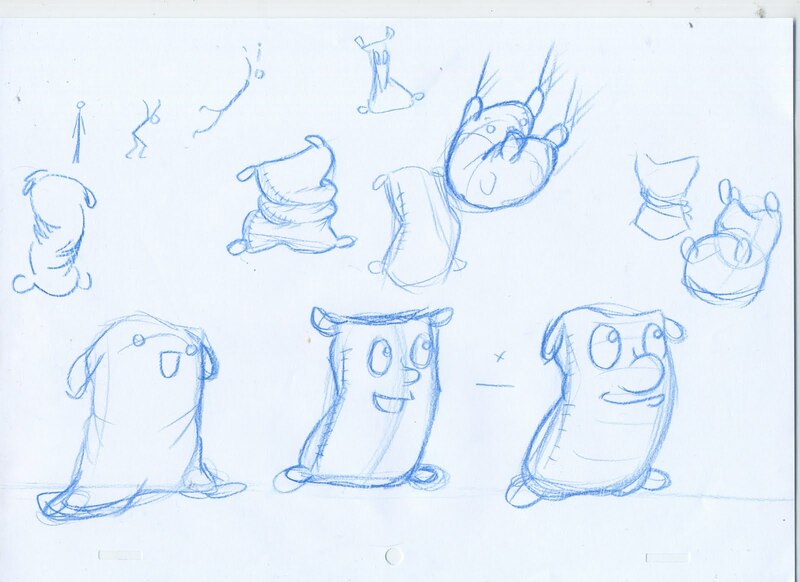 To further build upon the 12 principles of animation and using them, I have done a sack jumping exercise. Though I am aware of the principles, using them is often times slightly different than I had expected or had been using them previously. The further I go into traditional animation the more exciting it becomes. A lot of very interesting methods and tricks I would otherwise not have known. This also improves my intuition for movement as an animator. Quite different from the trial and error method I had used previously. I chose to do this animation as Pose to Pose, I started by creating a layout for the animation. 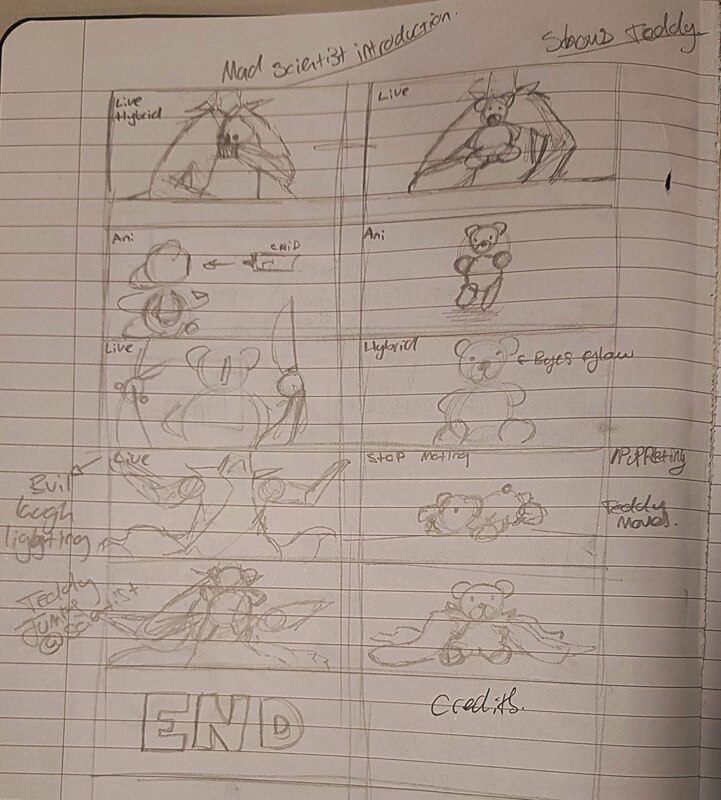 My first layout was pretty awful, however, I did draw with confidence. 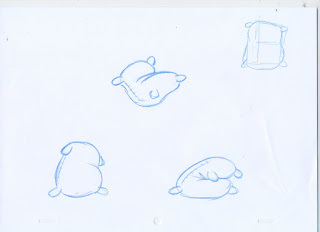 I got some various feedback regarding the height of the jump and the way I had drawn the sacks. The more I think about the process and experiment the more mistakes I can fix and the less mistakes I may make in future. Even after my final results, I look back and see where I could have improved. Though sometimes its not immediately obvious and may require peer review. I kept making my layouts too high. Perhaps I was too caught up with wanting to use the entire page. I needed to scale up the sack rather than having larger movements. 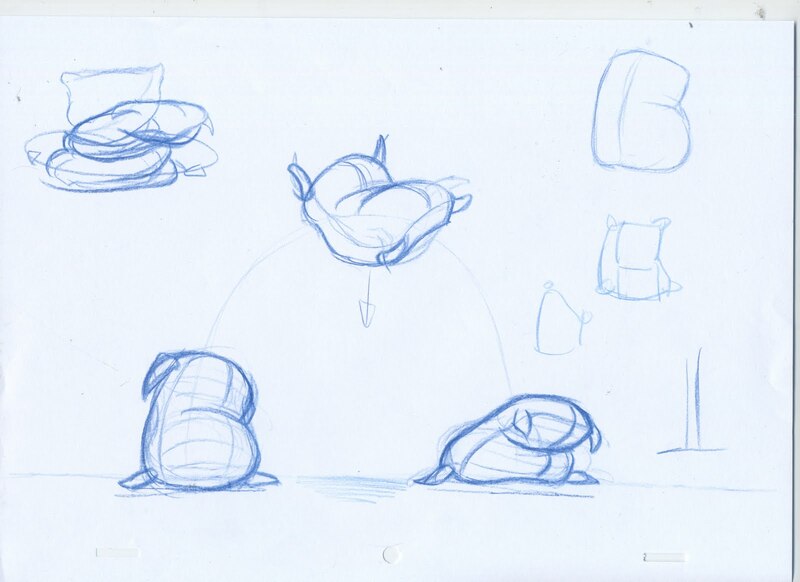 During some of these early layouts I started to try and understand the volumes I was drawing, adding surface texture or breaking them down into shapes. I didn't like the overly chubby sack I had, with the sharp tassels. Nor did it make sense to condense the shape into a cuboid. 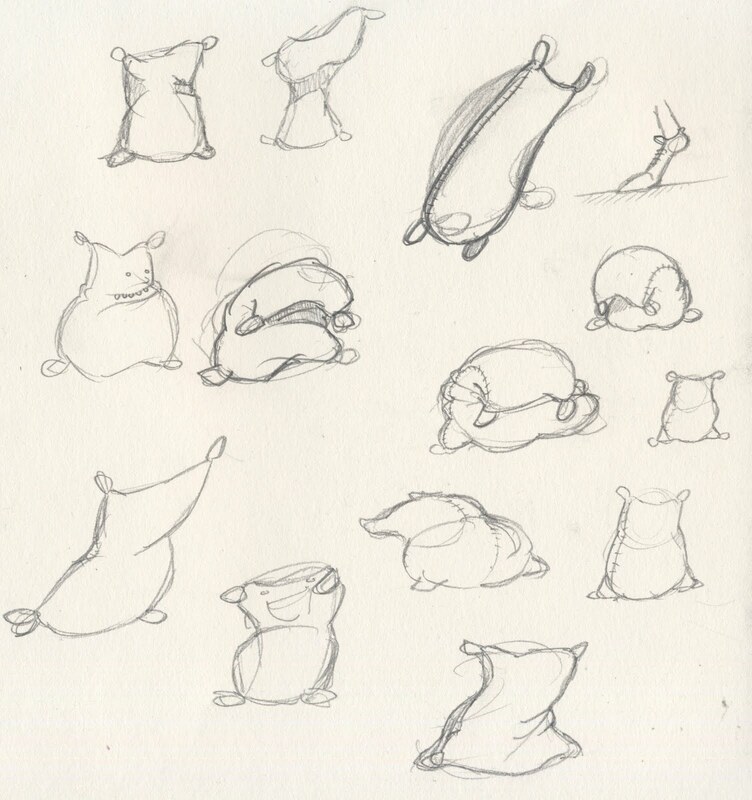 This is when I realised, I need to look at how I might draw a sack, both looking at other peoples drawing and sacks themselves. with some further thought into the properties of the object. This lead to some fairly heavily overthought sack constructions, losing personality and becoming very dead. To liven up the process, I started adding faces. 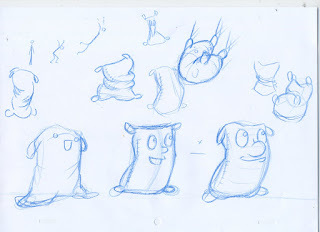 This really helped create flow, visualising the sack as a character more so than a sack. Making sure not to get caught up in what is Right but instead what Looks and Feels good. 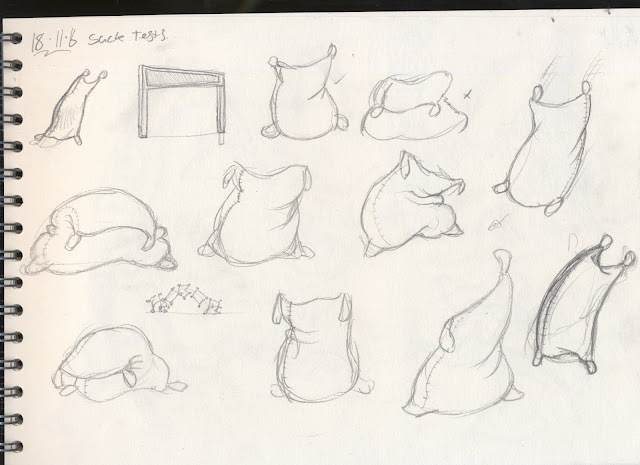 The face helped me visualise the different planes of the sack. Top tassels will be arms, of course. Moving down we hit the first plane which would become the face/chest. 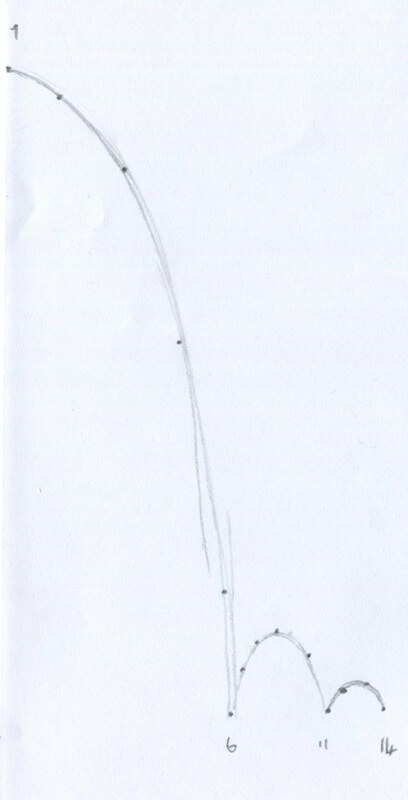 then breaking the lower section to resemble knees, having the lower tassels represent the feet of the character. This helped me build a much more believable character. Here's what I came to. Something simple that I initially thought would work, not too complex, keeps to its form etc. Sadly though, it turned out very stiff. The stretch poses are mirrors of each other and the start and end pose are the same. Why on earth did I think this was a good idea. I even did a test shoot to figure out timing before I scrapped it. Perhaps not as Awful as I make it out. but I did not find this Appealing. Back to the drawing board. 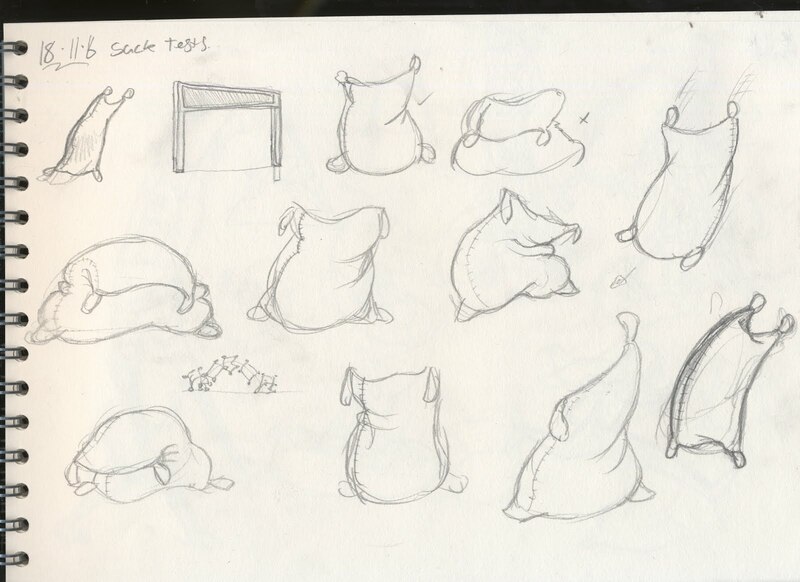 I continued to draw sacks during downtime, getting comfortable and confident with my drawings. I often noticed some inconsistencies. 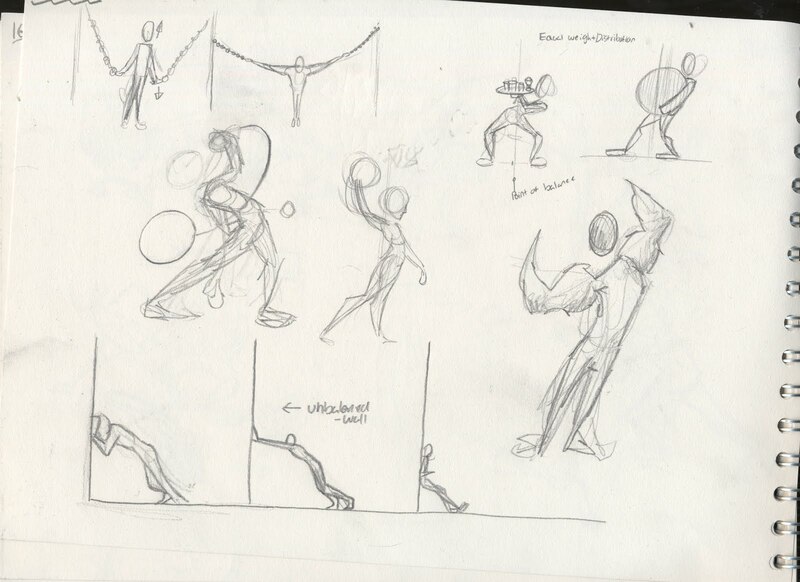 Sometimes I would attempt a pose without fully understanding what I was trying to do with the underlying structure. this just led to drawings that didn't look solid or hard to interpret. 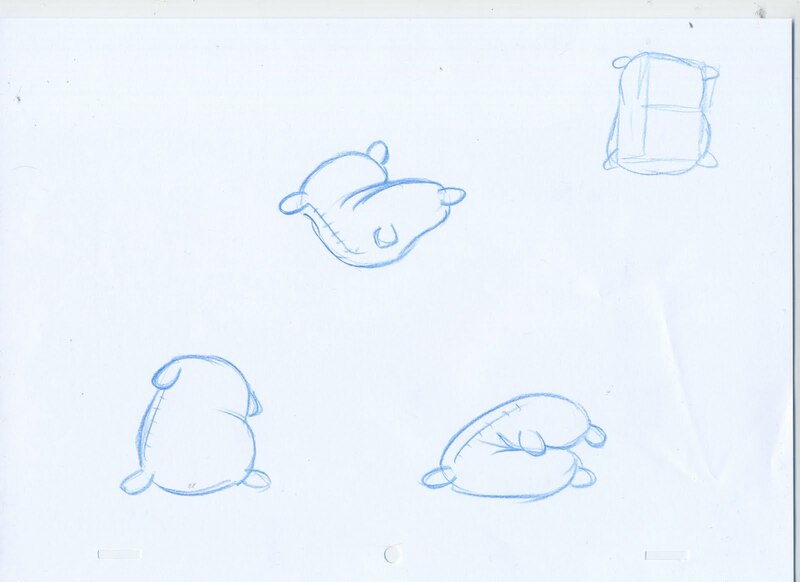 Among my sack drawing tests, I thought I would try the perspective as I was getting a little more comfortable. 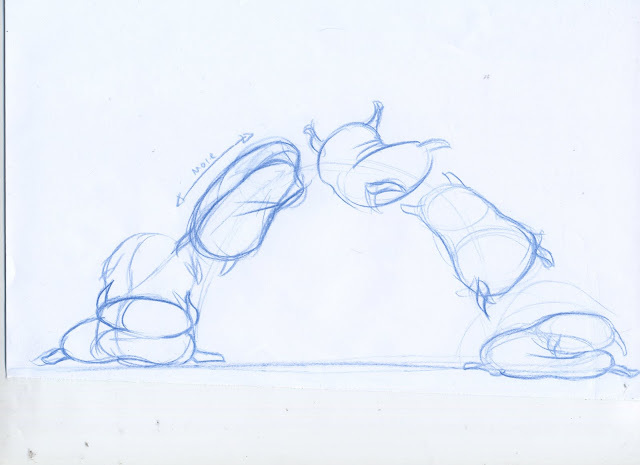 I knew the general concepts of working in perspective and I feel confident in applying the animation principles. So I pushed further and gave it a go. My first layout was messy, I wasn't fully sure on how I was going to establish a good size in 3D space and also have enough depth. I made the mistake of drawing my keys over my perspective layout once it was done. this meant I wasn't able to adjust them easily. 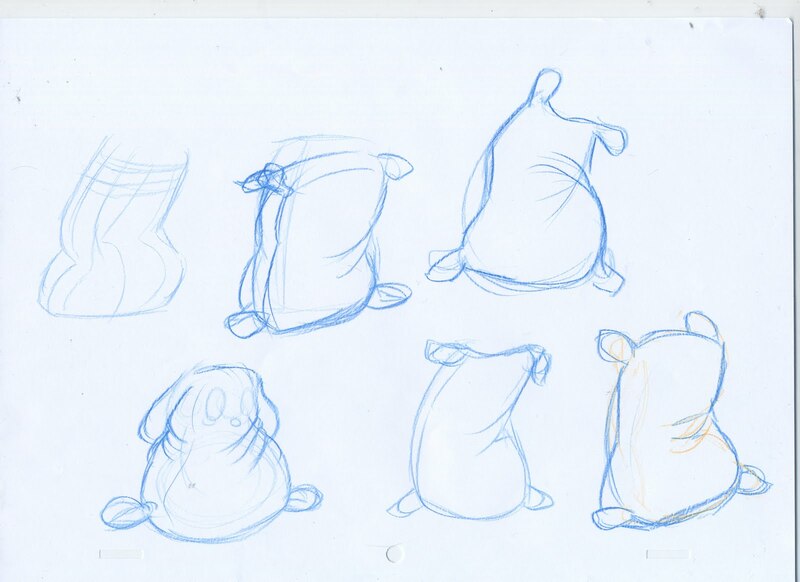 I created a reference rectangle for the general size of the sack at that depth. As you can see, I struggled to maintain that size in the drawing of the sack in the pose above that point. 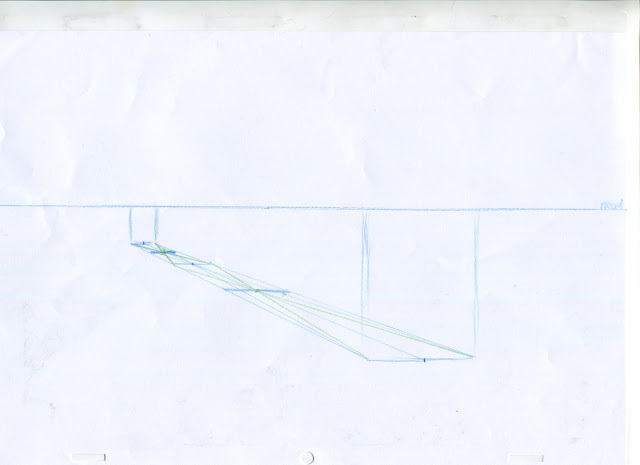 Because I had drawn it onto my perspective grid, it started to get annoying and I wasn't able to fix it easily. I started again. This time around. I made sure to get my perspective nicely sized, keeping staging in mind. I started to overthink where I wanted to place my perspective lines, this lead to perspectives on angles I didn't want. In the end I settled for this. not the cleanest lines, but it worked. I made sure to keep my poses on a separate piece of paper so not to ruin my perspective. this also lets me use the perspective consistently during the animation process. I used the horizon line as a point of reference when it came to the height of the character. I realised that in perspective the height may be difficult to determine and the only constant point of reference is that of the horizon line. Looking back I can see what I could have done to fix the heavily exaggerated perspective that I was struggling with. 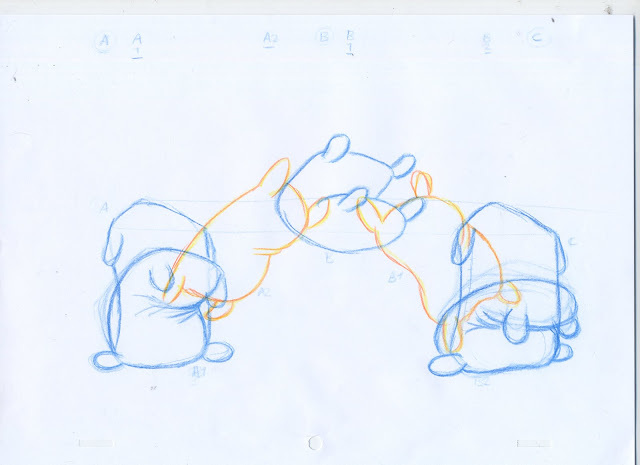 either by cutting the first frame lower down on the perspective and to change the angle by moving the front and back positions left and right respectively. keeping the horizon the same and determining the perspective through the 2 points, start and finish. All is done and I then continued to finish the animation. I felt as though my perspective is strong and I managed to hit the various principles. My main dislikes being how exaggerated the perspective is. perhaps a higher jump to compensate the distance and the posing for some of the action, not quite as strong as it could be and often times doesn't take much of the perspective movement into account. 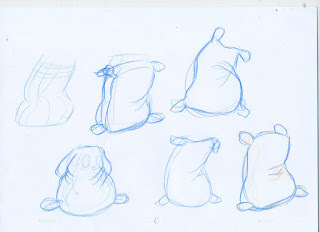 As the sack would lean forward / backward through space rather than what I had done, being left to right. I wasn't sure if my jump was too quick. I tried the motion on 2s, but again seemed too slow. Likely to be caused by the distance. Bringing the start and finish closer so the speed is slower or adding more height so that further inbetweens wouldn't slow the motion too much. Of course there's always the option of using thirds but that would require reposing the animation rather than adding more inbetweens. In this exercise I experimented with how timing and spacing affects our perception of different materials, how fast they move and how much energy they retain on contact. Starting with the Ping Pong Ball. Upon contact, this ball retains a lot of energy. Due it to it being hollow, light and fairly hard. Presumably the ball coils up slightly (squashes) and due to its material, pops back into shape pretty quick. This gives the ball enough force to leave the ground with very little wasted energy. I'm not entirely happy with the spacing of this animation. After completing this I did some further research. 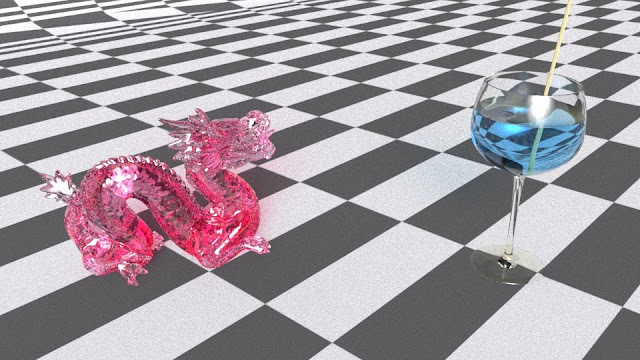 I mainly used this video ( https://www.youtube.com/watch?v=KRVhtMxQWRs ) until I came to a mental conclusion as to how I wanted to approach the animation. I concluded that the material of the object is defined by the percentage at which the object exfoliates energy on contact with the ground, relative to the size of the object. To apply this effect I used the frame immediately before contact as a reference, the frame after contact will always be less than this value unless more energy is injected into the object. 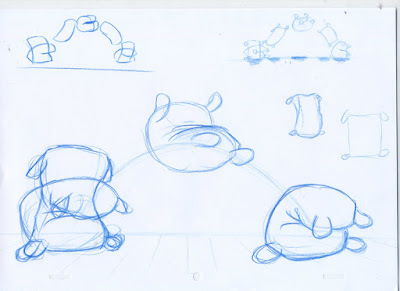 The amount of energy that leaves the object will be roughly the same each bounce, i.e. 50% in the case of a ping-pong ball, very little, perhaps 5-10%. Of course, this also requires good arcs to apply. This one was quite fun. I had the opportunity to apply what I had learned in my research. As you can see, I made sure the force of the ball leaving the bounce was less than that of the impact. This gave me more frames as it slowed into the peak of the bounce while accelerating out of the bounce at a similar rate each time as the force of gravity will be constant. I added squash and stretch at the most extreme points. just before and after contact and during the contact pose. Though the ball would easy back into its original shape, I thought this is perhaps too minor to concern myself with. Though in hindsight i'd only have to orient the extreme squash and default poses together using the light box to find an in-between. For the bowling ball I knew I would have to use few frames and have each bounce much less than the previous. Keeping in mind the ball will travel from left to right at a consistent slow in pace, I tried to keep my spacing the same. 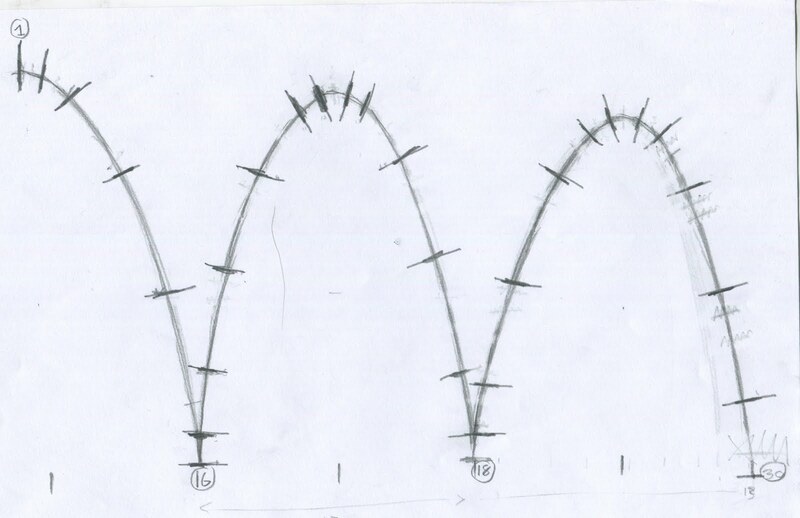 Perhaps not the best left to right consistency, but I feel pretty confident in the arcs. Another aspect of doing the bowling ball to keep in mind, is the size of the ball. using this same arc for a smaller ball would appear lighter, though still heavy. Thus I scaled the bowling ball up. This means the movements are much more subtle and the ball needs to more follow the arc of action smoothly to avoid any anomalies in the movement. Furthermore, once I had finished the initial animation of 14 frames. the ball came to a very sudden stop. This where I went back in and added another 4 frames, rolling and slowing into a stop. For a total of 18. For further experimentation I did the same exercises digitally using Animate CC. 30. 27 & 15 frames respectively. 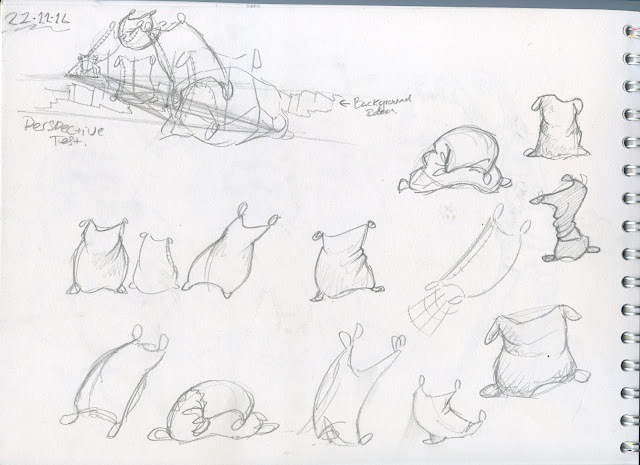 I'll be soon starting a project to create a short animation narrative that involves a squirrel character and an acorn. I'll be looking into the various Ice age squirrel scenes, as they seem the most immediately relevant clips for research. 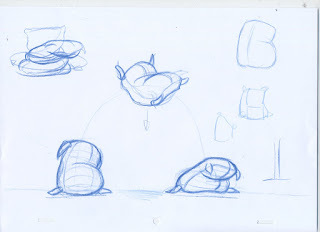 Anyway, in preparation for this I have started familiarising myself with one of the squirrel rigs (from Animation Mentor http://www.animationmentor.com/free-maya-rig/ ) and to further practice animation principles and the use of Maya. My initial plan to get used to the rig was to animate straight ahead. Boy was that a terrible idea, too many movements to work with at the same time and no idea whether it would work out or not. Scrapped the project and started again. 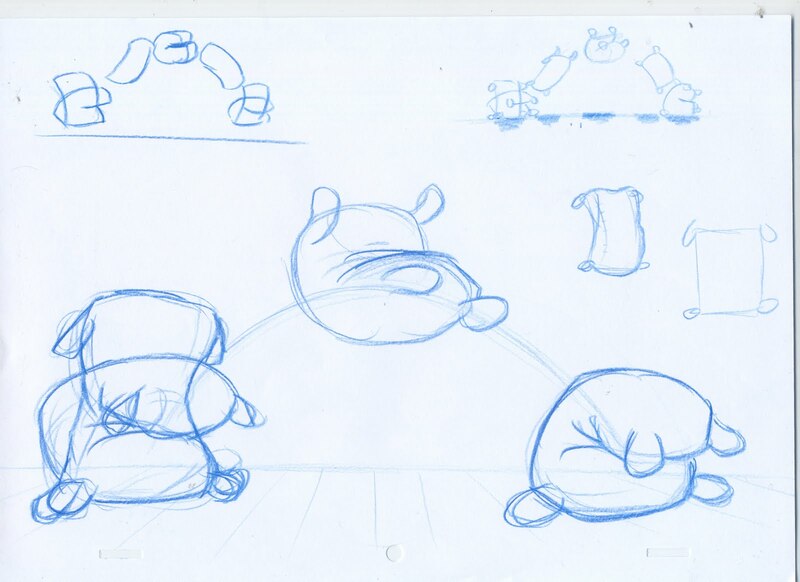 Keeping in mind the various animation passes I might want to make. 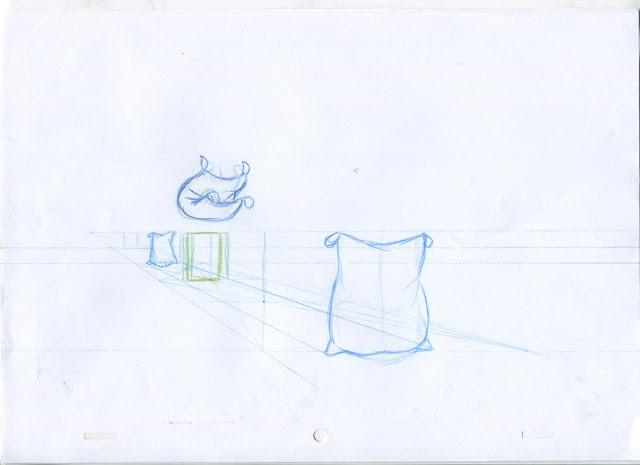 I started with the timing and movement of the squirrel through the scene. I had him jump onto a box, move across the top and jump off, to keep things interesting. 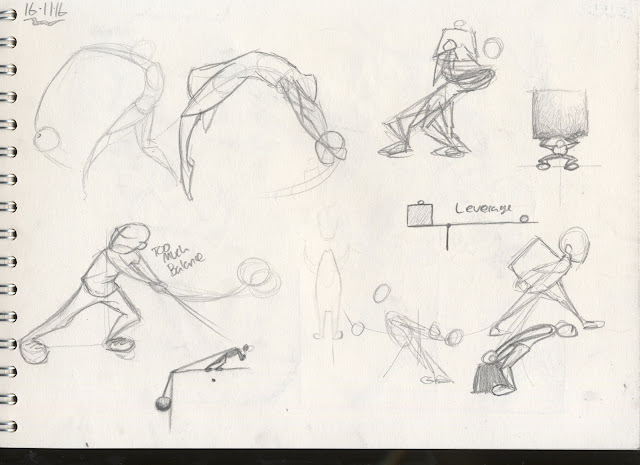 Once I was happy with the movement and curves, I started going into the squash and stretch, anticipation and follow-through. Giving the character life and energy. Along the way I made some minor timing changes to the movement I created before, but it was quick and easy to do. After the first pass, I went through and added overlapping action and follow-through to the ears, as it was a simple aspect to add. Next, its time for the tail. Much easier to do now that the character motion is in place. though initially I was dreading the process, once I got into it I was having a lot of fun. Really adds a new level of believe-ability to the animation. I have previously looked at squirrel tails closely as their movement is quite unique, but to refresh my memory I did look at reference videos. I focused mainly on how the tail followed the squirrel more than the subtle stationary movements. I started by establishing an idle position that the tail would pull back to. This happens when the squirrel is both stationary with no anticipation for movement and during times of little movement. While the squirrel is moving quickly the tail drags behind more. I am surprised at how happy I am with this movement. It turned out much better than expected. 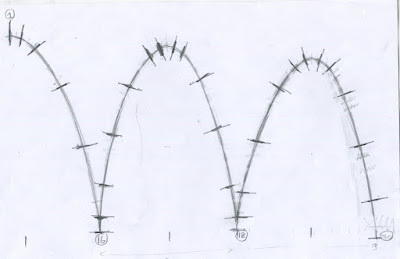 There are some minor aspects of the tail I would change, such as the jerky fast movement on the second jump. The overall look of the movement is nice as it waves through, but the execution isn't quite as smooth as I'd like. I also tried to tie the tail into the anticipations, almost pushing the squirrel off of the ground. Of course, also tied the tail into the follow-through as the tail is the defining follow-through aspect. My next thought was how I could further add to the animation. I created it with mainly rotations and movements on a single axis so my thought was to add some minor rotations in another axis. Sounded like a good idea, I may give this a try in a future experiments. I decided I would look into the facial expressions, nothing too complicated, to see how it may affect the animation. I did this because I was thinking about what this particular rig had to offer that the other one didn't and it would be a shame not to use some of the extra features. Creating the facial expressions was fun, nothing too complicated, only a mouth. But definitely adds a little extra character. I had him smile before jumping, open his mouth in the air and after landing, a look of fear as he regains his balance after landing. I did the same on the second jump, opening his mouth, in a more extreme manner, it looks as though hes catching something in his mouth in the jump. The change from a worried expression to a happy one is perhaps a little quick. Absolutely loving using the Arnold renderer. Although it is still new and has some missing features, it is definitely my favourite for rendering currently. 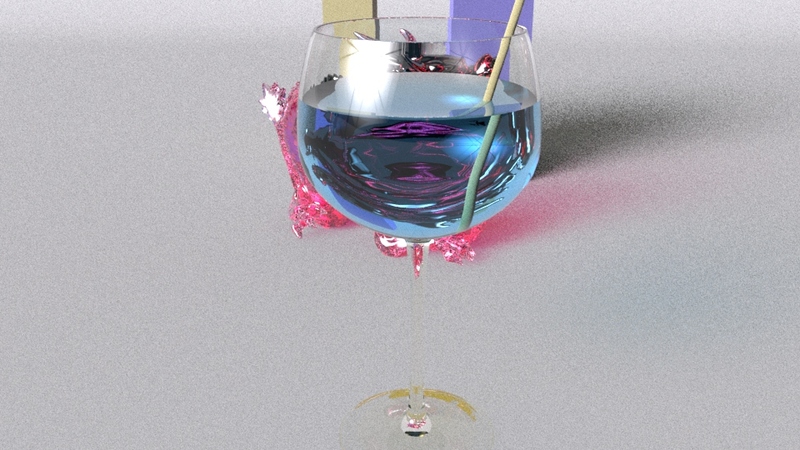 Though my experience with other renders is only very basic with Mental-Ray. Covering more about material attributes. An aspect of rendering I always enjoy working with as it adds a whole new level of realism. Of course realism is not only limited to creating objects and characters from life, but it gives you the ability to realise fantasy worlds as well. I could play around with rendering objects and different materials for hours. I really like being able to use a list of IOR's (Index of Refraction) of different materials to quickly create believable substances. I was initially confused at using different IOR values for objects touching each other but after some thought I realised why. using glass at 1.5 and glass at 1.33, I'd assume 0.8 is to bring the IOR from 1.5 to 1.33. 1.5 * 0.8 = 1.2, which is close enough to water, of course you could adjust the values accordingly. This also demonstrates that the IOR stacks multiplicative. 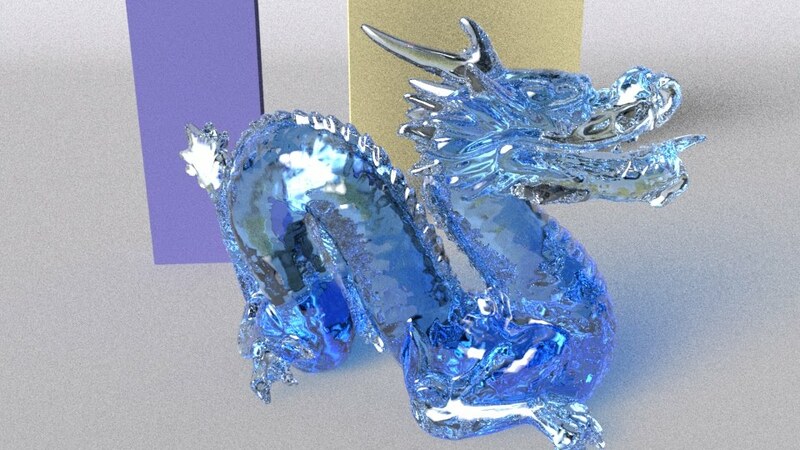 It is difficult to experiments with these rendering effects. I may assign myself an exercise that uses the various types of maps, specular, bump, diffuse etc. to either create a real world object or as a demonstration on a flat plane object. I can also apply the materials to objects and scenes in other Maya projects accordingly. What I found curious about some of the IOR lists was the fact that opaque materials also had IOR values. I was curious as to why, I initially thought of it as "If light passed through this...". 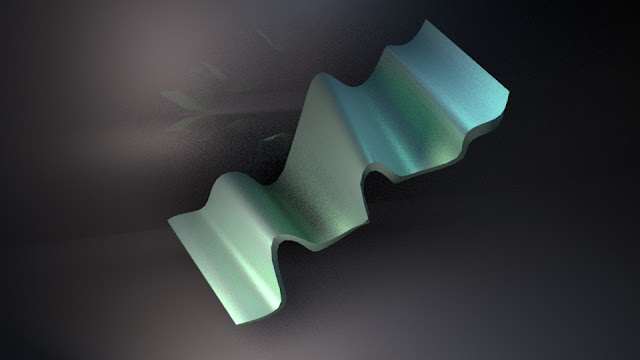 I soon found that the IOR has an influence on reflective materials and how light is reflected. What I found interesting about this is the polarisation of light through reflection. Something I have come across previously, but never fully understood. In simplified terms, I will likely remember it as a change in light frequency that requires an equal frequency to pick it up again. Doesn't seem majorly useful for digital 3D but interesting nonetheless. 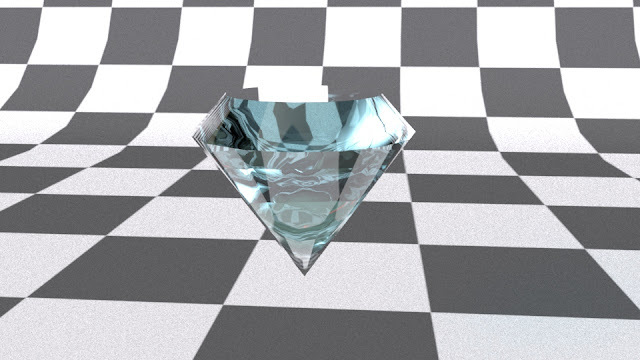 Looking at the IORs I saw diamond, so I thought I might experiment. 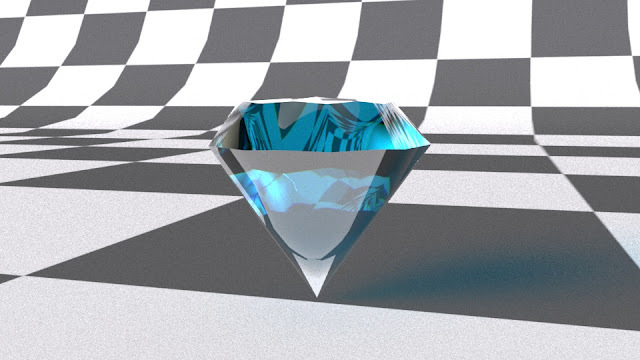 I brought up a picture of a diamond for reference and started experimenting. Result of using a cone primitive and applying simple AiStandard settings with 2.418 IOR. Looking back at the reference, there's a lot more light being reflected and refracted. Not quite there yet. 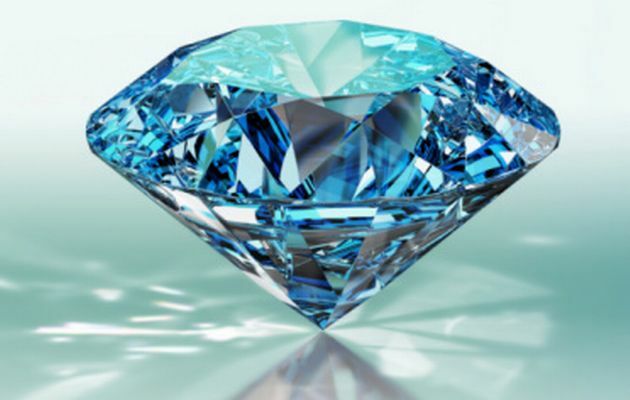 Going to remodel into something more diamond shape. Also looking into the Solid Angle support pages. Definitely learning a lot more about Arnold with each new experiment. 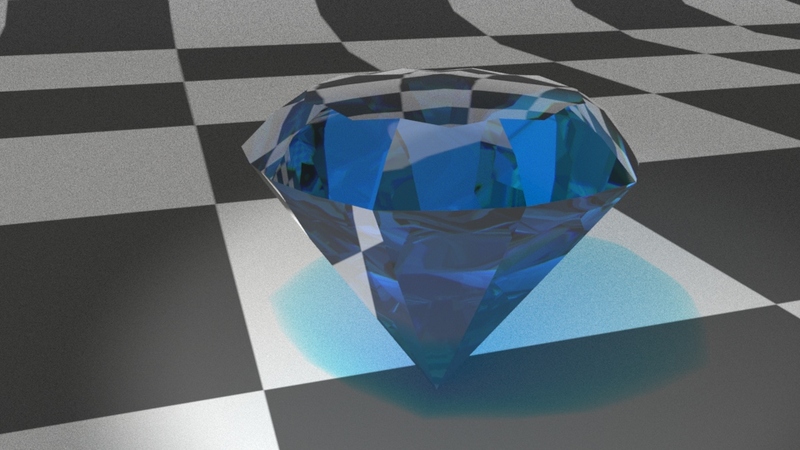 Creating a diamond is much more difficult than expected, I may have to look into this later. most resources I could find were using Mental Ray. May have to see if the same process works for Arnold. Did some changes to the mesh and added a spotlight. Brought out the shapes a little better. Getting closer but definitely need to do more research. To initialise ideas I like to listen to music and imagine a story that would go with the music. This works well to establish a basis for my story or to get ideas flowing. I then started to create a story in flash using the music as a basis. This didn't go well as I was thinking more about how each shot went with the music and not the overall story arc. Not to mention the music is much longer than I would like the animation to be. 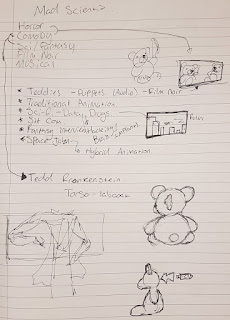 To further weigh my options of the story I opened up a Photoshop document and started drawing various different concepts, from colours, characters and locations. This lets me evaluate and build upon a specific scene, location or character. I started with sketches to get a feel for drawing the character. 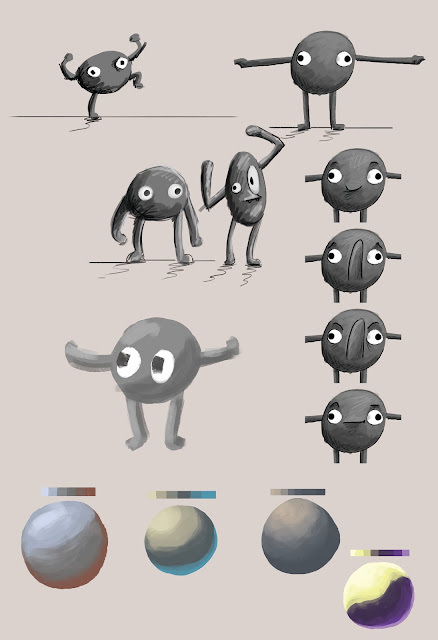 experimented with a use of colour as I plan to re-texture the characters. either to be more abstract or take their current designs and enhance them. 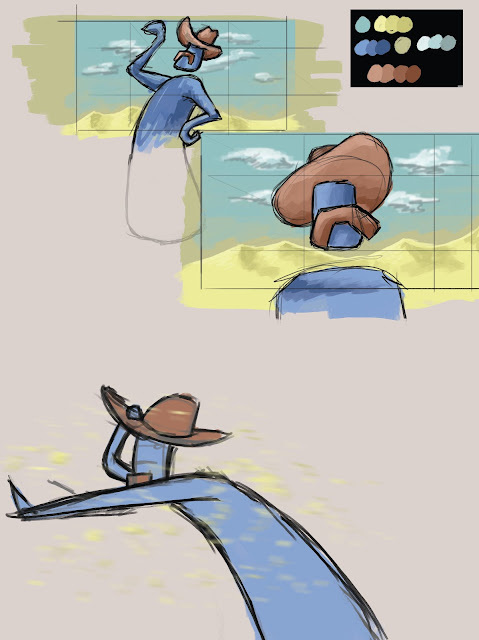 I was also thinking of the character in a sandstorm, pushing his weight against the winds, having to hold his hat. Thought it may make for an interesting scene and ties nicely into a story idea I had with rituals and magic. Though this idea became very particle and effects heavy, maybe something I will experiment with. I also considered creating my own characters. though I realised the more complex I make them, the more difficult it will become to model, unwrap and rig. So I started simplifying the designs. I liked this design, nice and simple with enough detail to create character. I kept thinking about what I might want to achieve and learn from the project. I'd really like to create my own character, but I realise I can't do everything with the time I have. So I look at what aspects I may be least comfortable with and I found that I want to push my storytelling and cinematography skills further. If the story I decide to go with requires me to create a character or re-texture the models accordingly. I can do that. I started thinking about sci-fi elements and considered the idea of clones. I dialled this back through time to see how I could adapt the idea into a western style. Difficult, but it gave me the realisation that the characters can truly be whoever I want them to be. As previously I got a little stuck on stereotypes based on how the characters looked. The concept here is a montage, showing a character that has regular struggles every new moon, having to isolate himself while he splits into two of himself. Stealing the identity of his previous body and disposing of the body. This concept was interesting to me as it covers some unique animation with the character coming out of another character and I had some good ideas for cinematography. All I need to do to round out this idea is consider what drives the character and the reasons for the event that happens. Perhaps dissociating the split from the moon and tying it to the character himself. 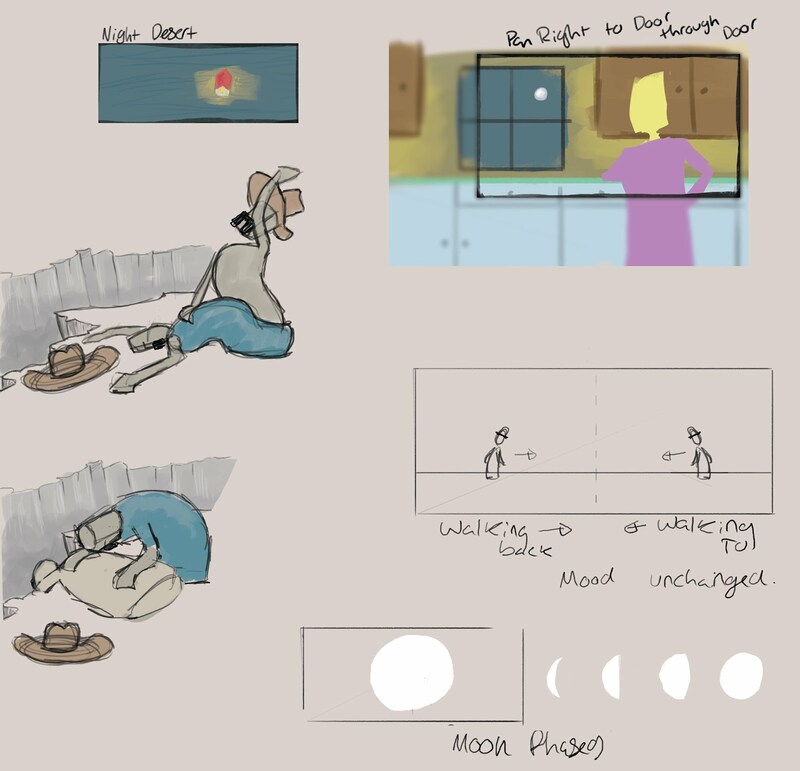 Maya camera tests and cinematography research. Before university it wasn't aware of how important films studies would be for animation. I had just assumed animation was its own category, boy was I wrong. I am absolutely loving my new outlook on film and media, looking into the little details of how shots are composed to create deeper meaning in storytelling. Though it is definitely something I need a lot more practice with. I find the first test easier to read, while the second comes across as more dramatic and punchy. Perhaps a happy medium, will definitely need to practice more with this. Throughout some of my current minor storyboard and idea tests I found that I have been learning a lot towards having rain in my animation. This would be fine, however, creating a rain effect in 3D will require a little extra knowledge. I want to make sure I am capable of making rain before going too deep into my story boarding process. I did some research and some minor tests with rain in the current scene I have for the previous test. Not bad, though I was having some trouble with the density of the rain and the speed of which it falls. I believe this is due to the scale of the scene. The characters are barely a quarter of a meter in size. Furthermore, Arnold has some limitations with rendering the particles and I had to make some minor changes, a shame really I was hoping to use Arnold to render the animation. Though it is not confirmed whether I will be using rain or not but it is nice to know that I can create it. This is something that I hadn't realised can be as difficult as it was. 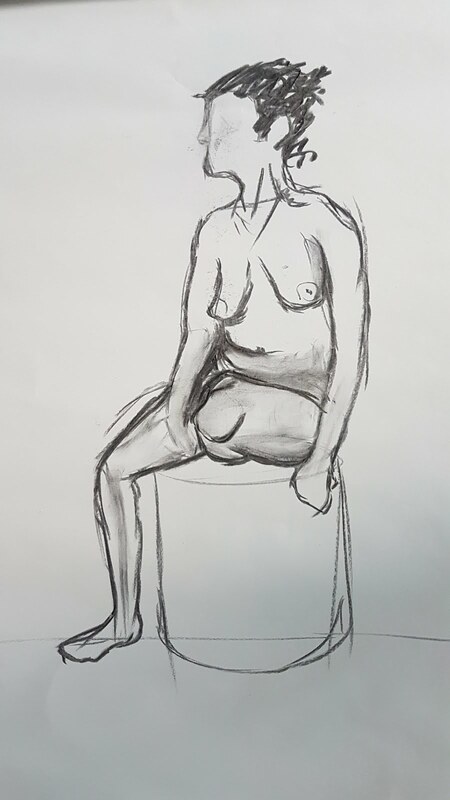 To capture the true proportions of the model as opposed to capturing an essence of the pose in gesture. 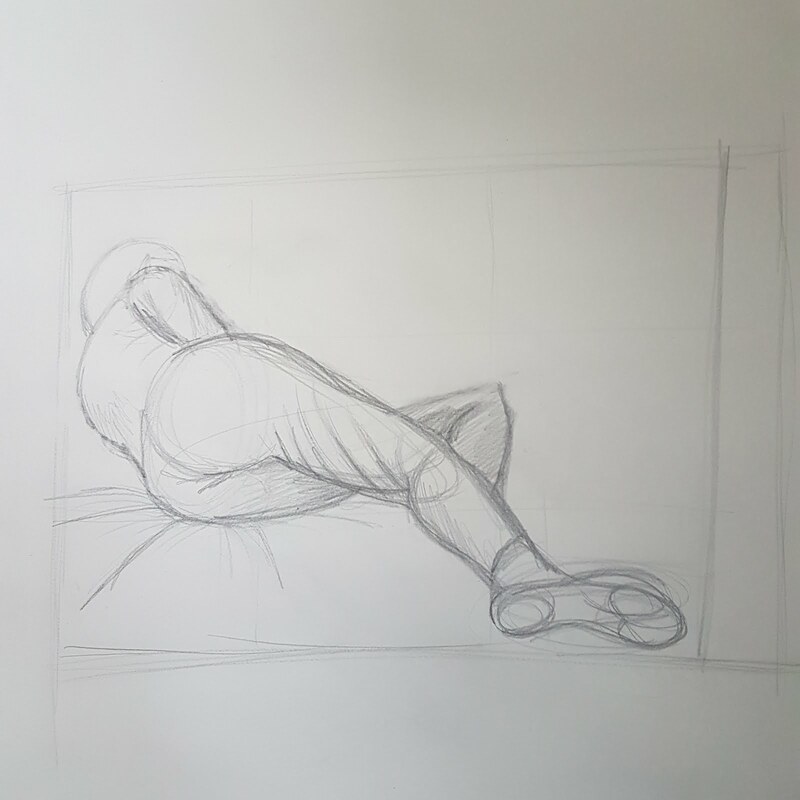 To further improve this study I have been using a framing technique to get object positioning relative to the edge of the frame. Overall I feel as though I have gotten better at viewing proportional issues in the poses and gotten more consistent at looking for relationships between various aspects and angles of the figure to get their relative size to one another. 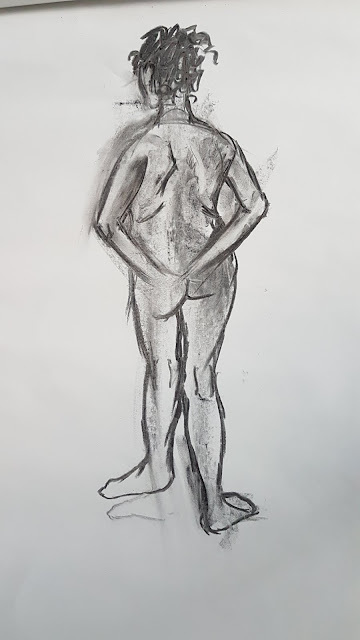 I am happy with this as a drawing and I feel it captures the pose, however, based on my positioning this is not proportionally accurate to what I was able to see. 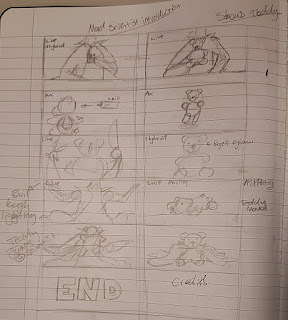 Something I found much easier to practice my proportional study is doing thumbnails, each time I did a thumbnail I could see what I was getting wrong. 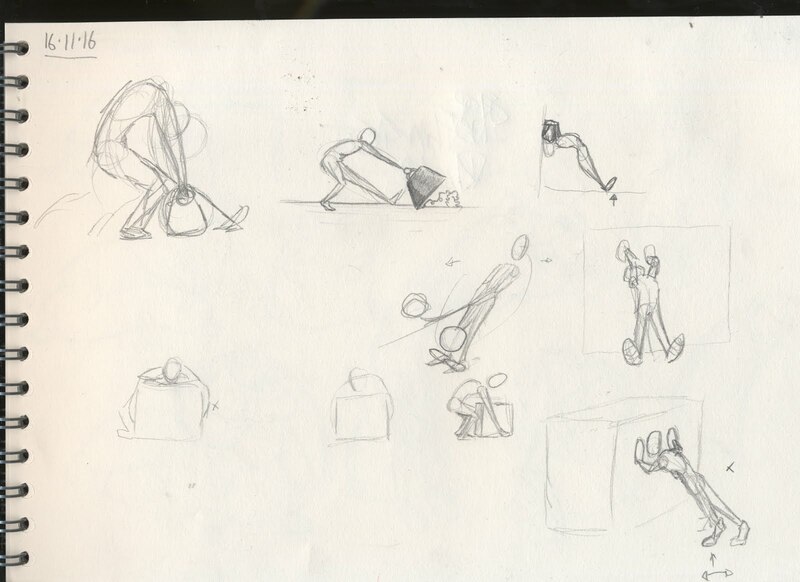 Each iteration of the pose fixed the issue of the previous. I liked this method of working as often times trying to fix a single image can be difficult if there are multiple mistakes influencing each other. I can definitely feel my observational skills improving, I just need to keep observing, even while I am not drawing. 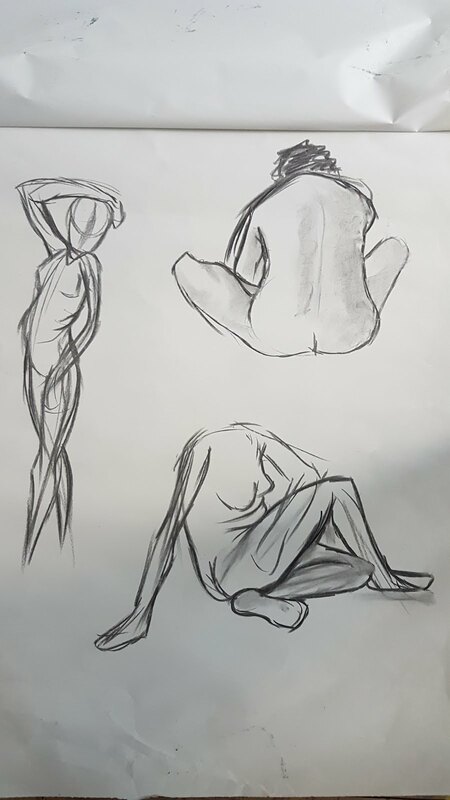 I've started attending extra life drawing classes, these are quite helpful and give me extra time to fully focus on longer studies. I quite enjoy doing life studies as there is still so much for me to learn and it can often be immediately evident in my work. Being able objectively see issues in my own work inspires me to fix them. Images go from short studies to longer studies. Gesture is always my favourite and it is something that I feel I can capture fairly well. 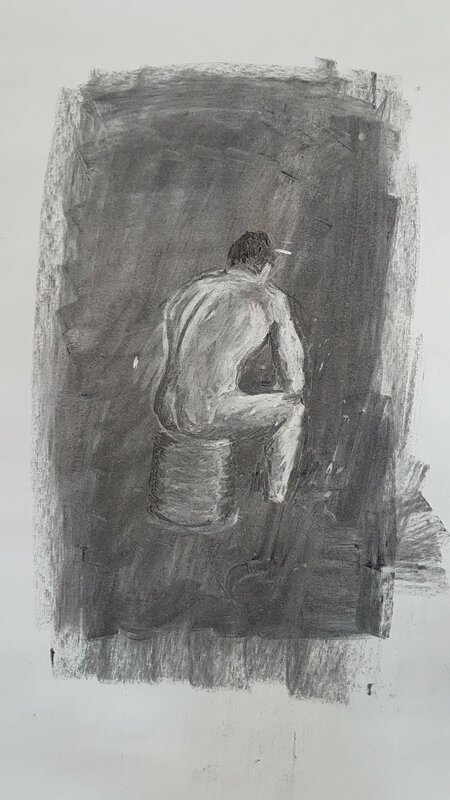 In these I am further trying to get comfortable with what charcoal is capable of and how I can utilise it to capture the figure. 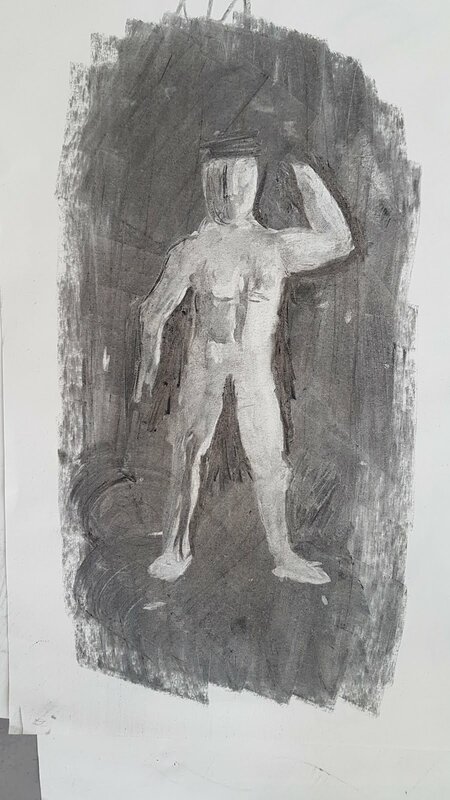 I am also focusing on capturing the volumes of the figure so that the image doesn't look flat. 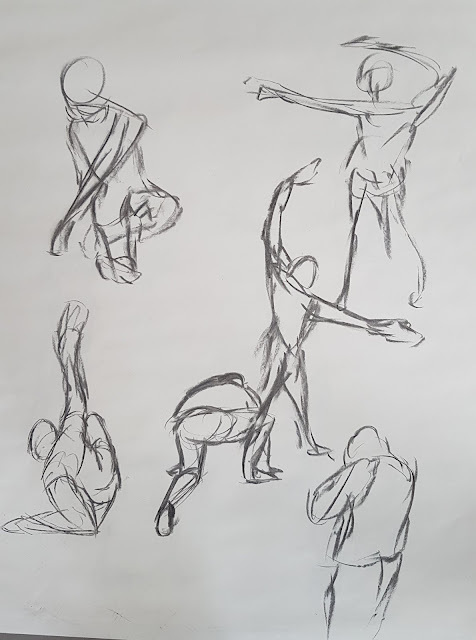 Going from short gesture poses to something longer is something I struggle with and need to practice. I find myself slowing down to get things right first time through when I should be focusing on capturing the gesture like before and then building into the details. This is a project that myself, Ioannis, Tharindu and Victor (Kudiwanashe) worked on in our first week of University. The project was a lot of fun and it was good to get to know what some other students were capable of fairly early on in the course. 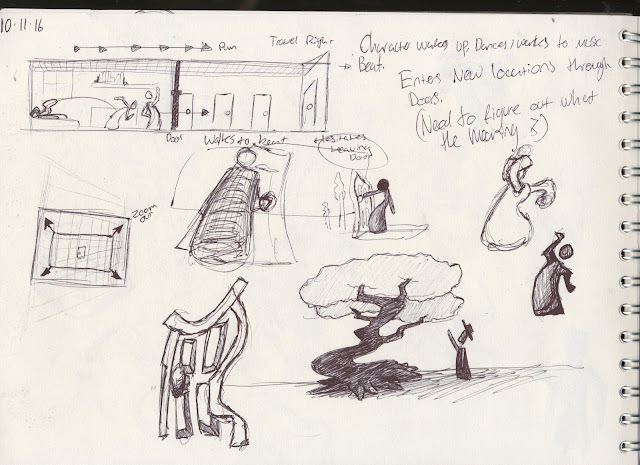 Once the task was set I took it upon myself to make sure everyone stayed organised and that the ideas started flowing. 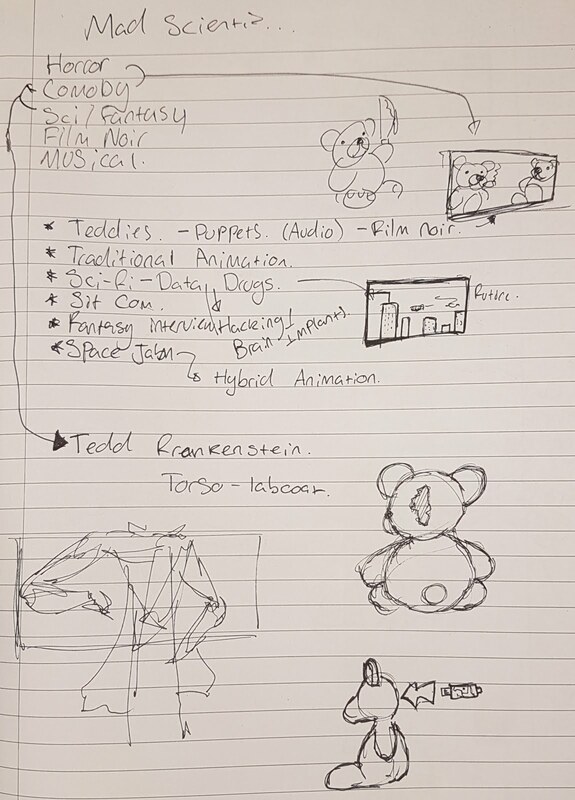 I immediately got out a note book and started getting ideas and contact details sorted as I knew we only had 4 days starting on Monday afternoon to Friday morning to finish the short film. We met up each day and planned out what we were going to do. We first had to find a teddy-bear and a lab coat. The lab coat was difficult to find but we managed to borrow one from the printing rooms. Quite the task to complete when you're new kids on the block. The difficult part was finding somewhere to film, having no idea what facilities are available or whether we could book them and even if we could, we didn't have our student ID's. We found an unused room with a whiteboard and we stuck with it. We created the set using the table and white board that were in the vicinity and adding various books, paper and other objects to the table to make it look used. Ioannis did a great job of acting, I barely knew these people so I was surprised at how much effort went into his acting considering how shy he seemed. He did good capturing the mad scientist vibe and we chose him because he had fairly bony hands which helped enforce the character. Prior to the filming I created some animation that would be edited into the short film as a cut. Once we had all the footage we spent the time together compiling the footage and adding in edits and cuts to black until we were all happy with the flow of the visuals. I did most of the editing as I was the only one who (sort of) knew how Premiere worked. I mostly learned the software on the go, making various changes to different settings and seeing what would happen. I decided to look into grading the colors of the film to hide some of the amateur nature and help bring out the vibe of the short film. For sound we clicked through a free-sound website and decided together on what sounds we liked and where to put them. That evening I edited the animation I created to tailor it to the short film and tie it in nicely. Taking the respective frames of the video importing them into Animate CC as reference and then exporting just the animation as transparent and overlaid it onto the video in Premiere. Final day, I spent it on my own cleaning up the final parts of the short film, creating credits, an ending title and solving some visual artifact issues with the preset pixel transition as it applied a filter to the entire clip that was lower resolution than than the footage and display being used and I had to manually change the settings of each transition. Worth it to get good HD footage, though strange that the preset would affect the entire clip. Finally I added some extra sounds for the credits and called it a day, ready to show the short film on Friday morning. Here it is, Hug Me, in glorious 4K. 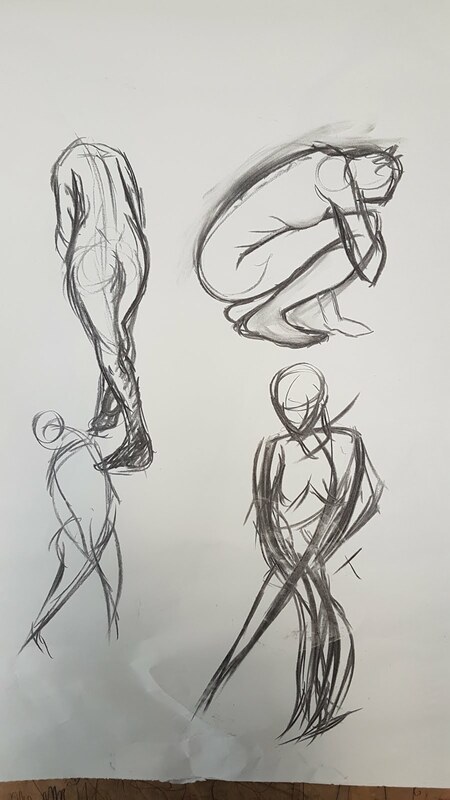 Sadly I did not use any reference for these first poses as there was no direction as to what I wanted to achieve in the poses. I was mostly getting comfortable with posing the character rigs themselves. Surprisingly not as difficult as I had imagined but I can see that all changing when I attempt animation. 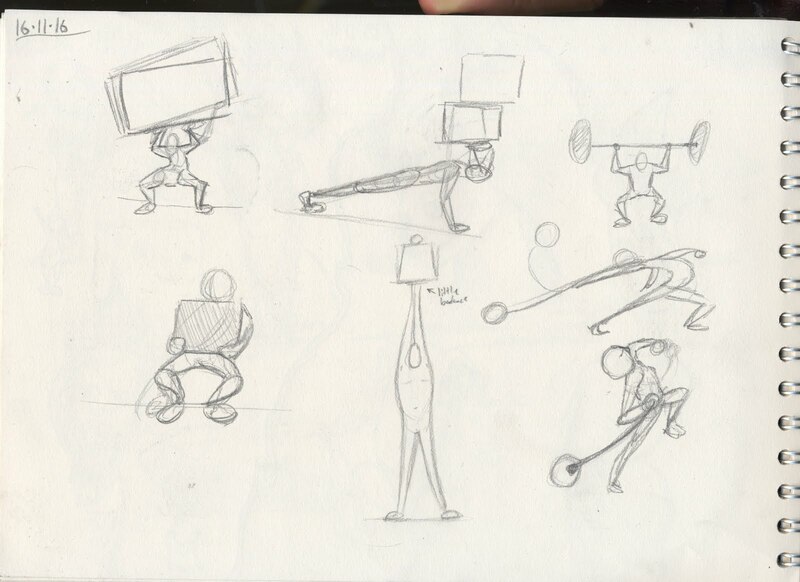 Next I am going to try the character rigs dealing with a heavy object. 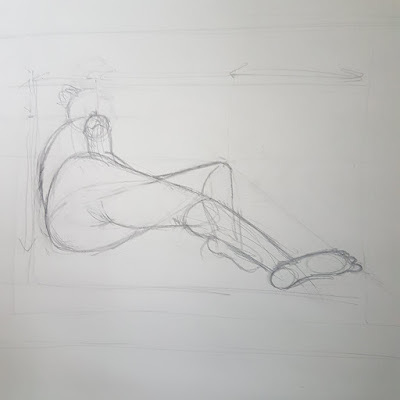 I will do an initial pose without reference for comparison to a post reference pose. My thoughts going into this are that the object will have dominance over the character. The objects weight will also displace the characters balance relative to the object and the character combined with heavier objects causing more displacement. 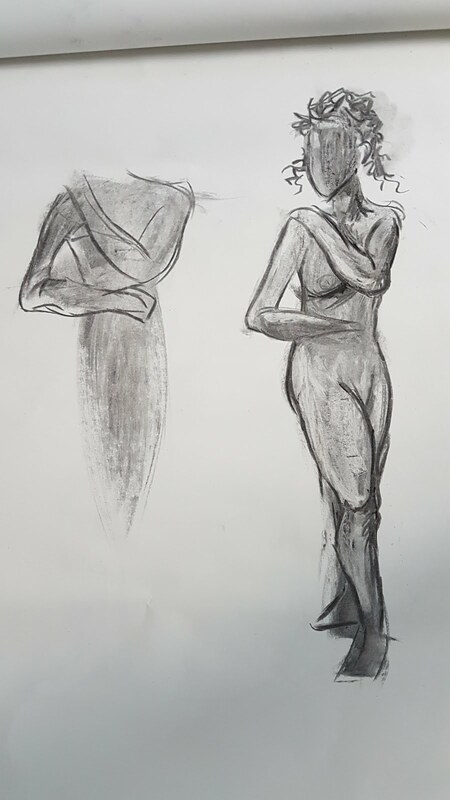 The pose I have in mind without reference should give me some freedom to change the weight of the object with fairly minor changes to the pose. I was a little surprised at how much easier I found this than I had expected. 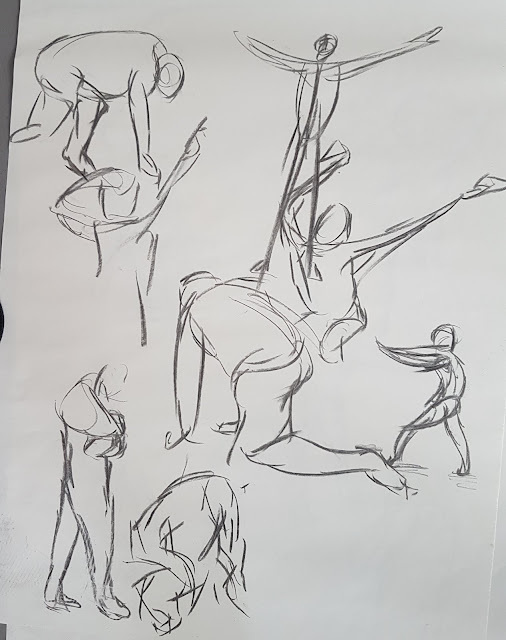 My next step will be to create more dynamic poses using reference. 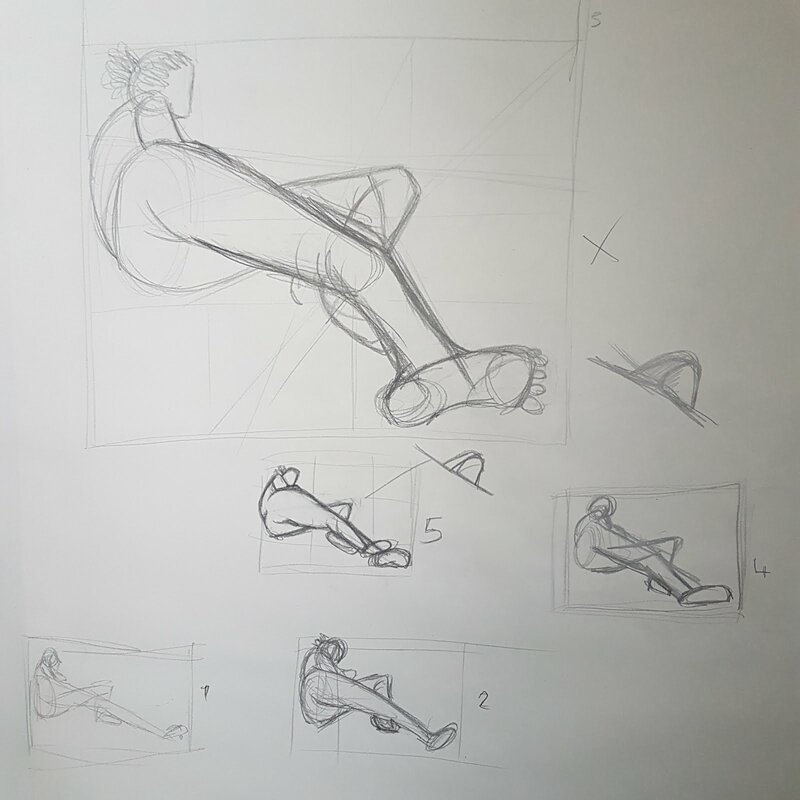 I started drawing out some reference, I found this quite difficult as it felt unnatural to draw a character in a position that went against holding their balance. 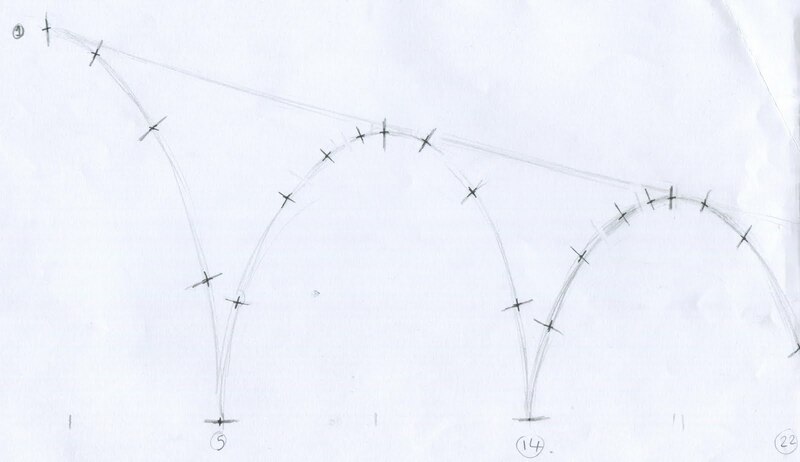 In the end I did some weight distribution charts establishing a centre line through the points of contact. Although I am not fully happy with how the reference looks, I am happy with the issues I came across and that I was able to develop a further understanding of aspects I may otherwise have overlooked. Such as keeping weight distribution to a centre balance line. I also discovered that the feet and toe position are very important in adding more strength to a lean, both forward and backward. In regards to my reference, I started with something simple. Though I did not stick to the reference entirely. To convey the weight I squashed the characters body beneath the weight, making sure to keep the aspects of the body wide to compensate the weight and to improve balance. This pose was fairly simple as the arms and legs don't bend into any extreme positions. Taking into account previously, I went back to this pose and adjusted the feet, arching them slightly to apply more strength and further spreading the weight by angling them outward. 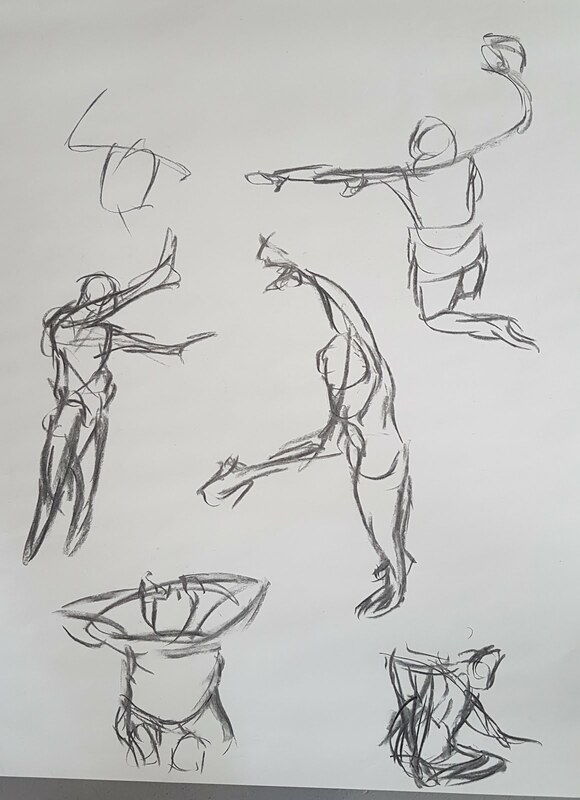 Finally, I like to make sure my posing is often asymmetrical across the various axis to add some gesture. 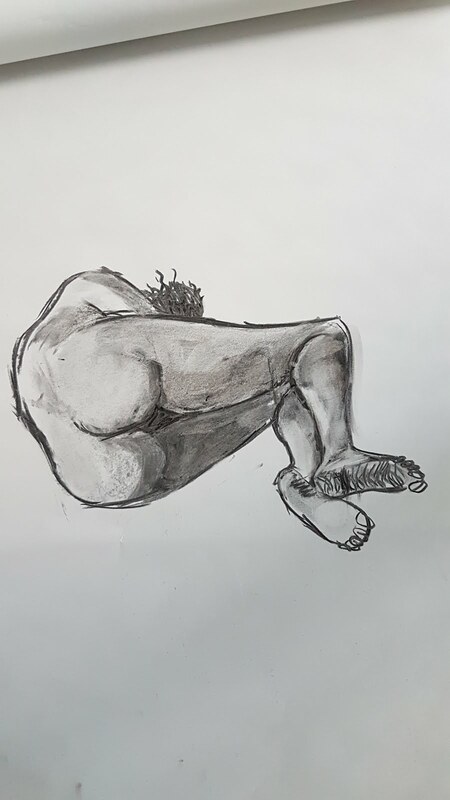 To do this I often offset the feet, shift the weight to a dominant foot, compensate with the hips and knees, keeping them equally as asymmetrical. For the upper body, I adjust the angle of the weight, this in turn affects the contact points of the hands adding extra gesture and further ties the character and the weight into a single entity. Secondly, I tried one of the more difficult poses. My sketches weren't all that great regarding how the pose actually worked. I initially found this difficult and put the exercise to one side. I came back at a later date and gave it a go. 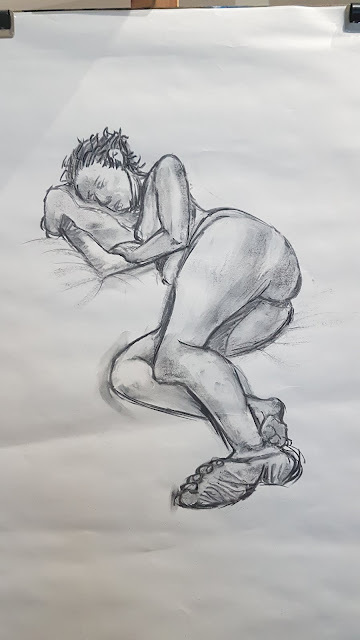 I did a much better job at deciding where to put the feet and angling them, however, I still struggled with capturing the pose. This is when I got up, walked over to a wall and got into the pose. 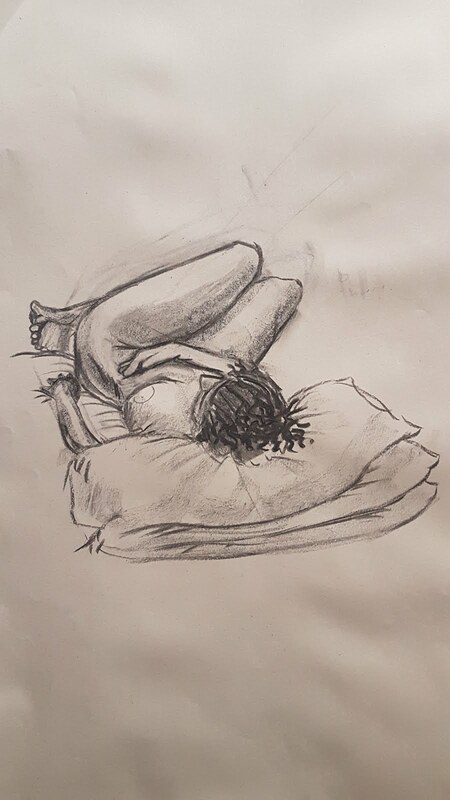 It was difficult to hold, but I realised there was a lot more twist in the waist with my left arm and leg squashed and the others being stretched, though still squashed under some weight. To further help with the pose I often found myself reaching up and moving my arms around to understand where the turning thresh-holds may be. It became very difficult to get the character into a pose that was anatomically correct that didn't break the mesh while maintaining the aspects of weight. 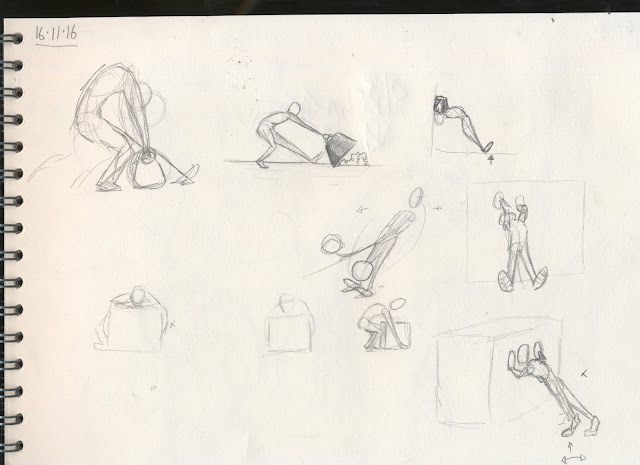 Really putting into perspective that although some poses may seem simple, others are much more difficult. 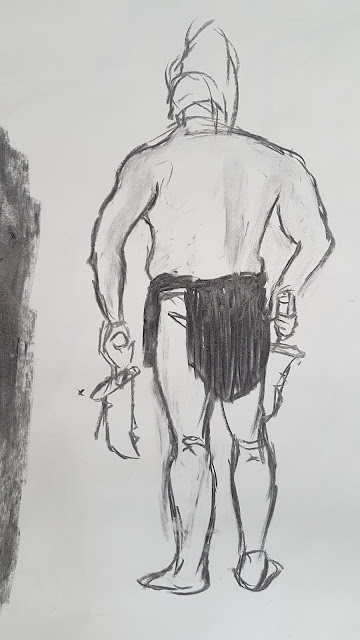 As I was struggling, I wasn't able to easily add gesture to the pose, however, I did lean the object towards the character slightly as though he is hold it up. Finally, I wanted to try something drastically different. Thus I did a character doing a handstand. One of the main issues I find with this pose is the use of the model. Her body is quite small with the main weight seemingly in the head. This was also an interesting experiment with how I may flip the character over, turning the IKs in the legs off and turning the arm IKs on. The weight distribution of this pose is pretty simple like before, giving a lot of room to easily add some gesture and asymmetry. Making sure that if I shift the weight in one direction, I compensate in the opposite direction. Though I did not do this perfectly, I got the general idea.